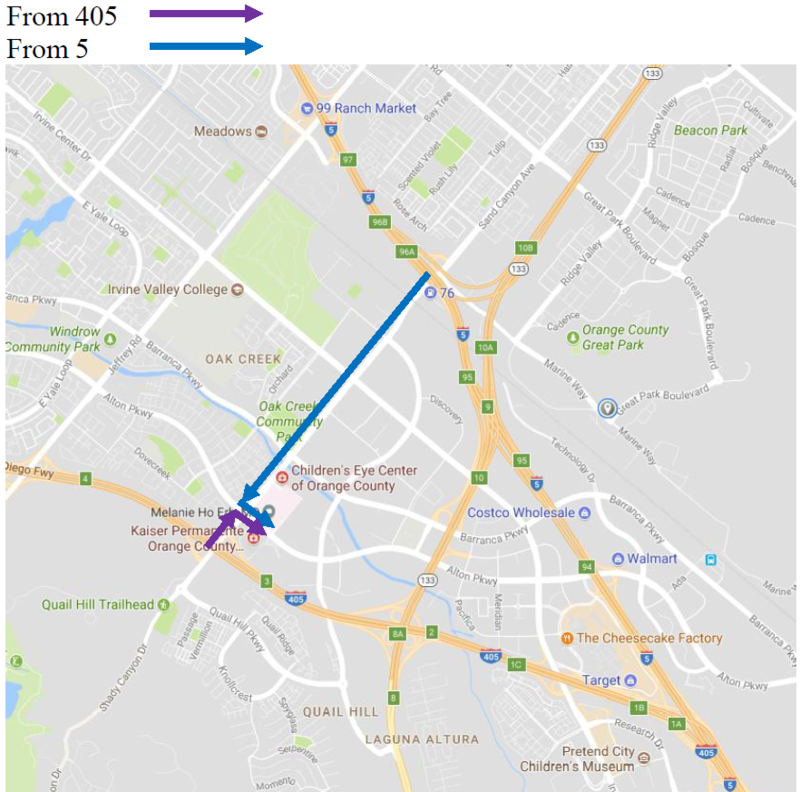 Detailed Directions to Dr. Erb's Office - Melanie Ho Erb, M.D. 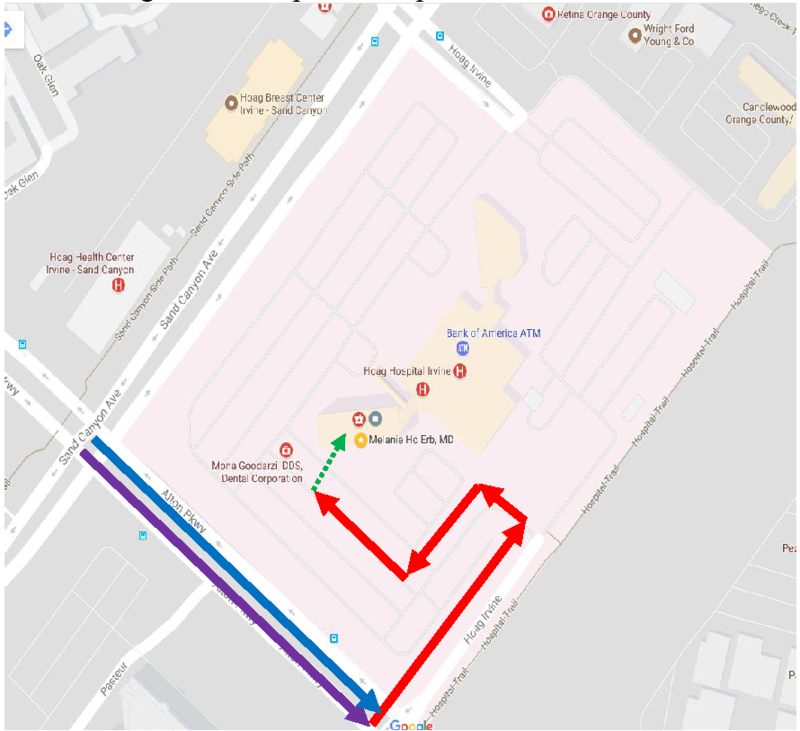 Print out the attached directions and map to our office, even if you have GPS and are great with directions, because many have noted that the GPS can be wrong for our location. Please note that from our building’s lobby, you will need to take 2 elevators to get to our office on the 10th floor. We are in the Hoag Irvine Hospital Complex. We are in the tallest building in the area, so look for that. Our building is NOT directly on Sand Canyon Avenue; instead, the Hoag Irvine Hospital Complex is directly on Sand Canyon Avenue and our building is within the complex. You can reach us by either the 405 Fwy or the 5 Fwy. We and Hoag Irvine are on the southeast corner of Sand Canyon Ave and Alton Pkwy. We have street entrances off of BOTH Sand Canyon Ave AND Alton Parkway. Enter from Alton Parkway because it’s easier. Our building has the sign “Hoag Irvine” at the top when viewed from Alton. Our office building does NOT say Orthopedic Institute. From either the 405 or the 5, exit on Sand Canyon Avenue. From the 405, go east on Sand Canyon Avenue. From the 5, go west on Sand Canyon Avenue. At Alton Parkway (intersection with stoplight), turn south. At Hoag Irvine (intersection with stoplight), turn left. At the stop sign, go straight into the parking lot. Our building (Physician Office Building) is across the street from the parking lot. Exit the elevator and walk down the hall.